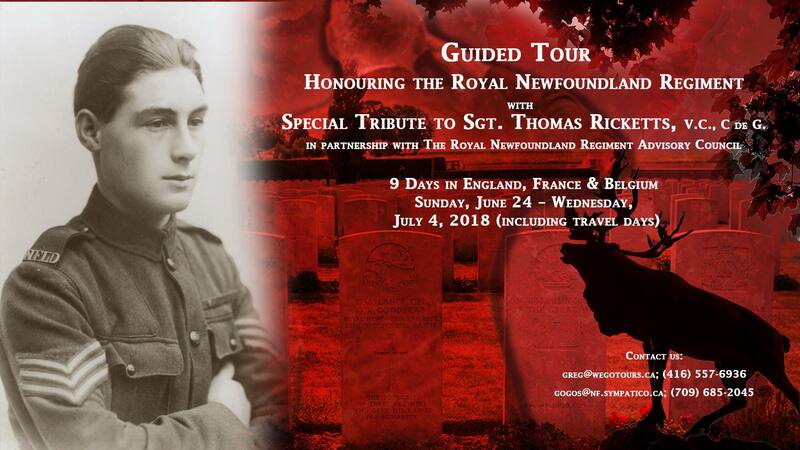 Join the Royal Newfoundland Regiment Regimental Advisory Council on a guided tour of the Trail of the Caribou. 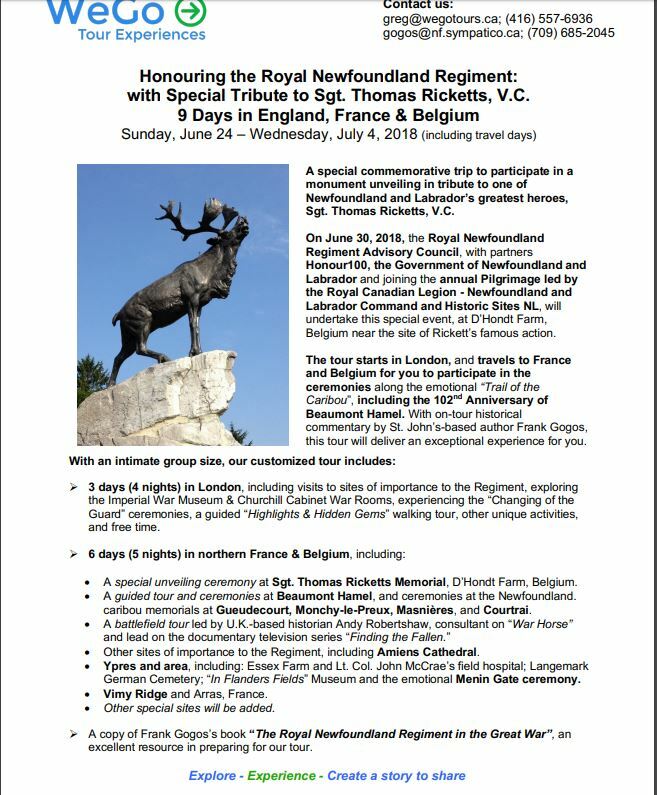 This is a unique custom built itinerary specifically for the Trail of the Caribou to commemorate the 100 Anniversary of the First World War. 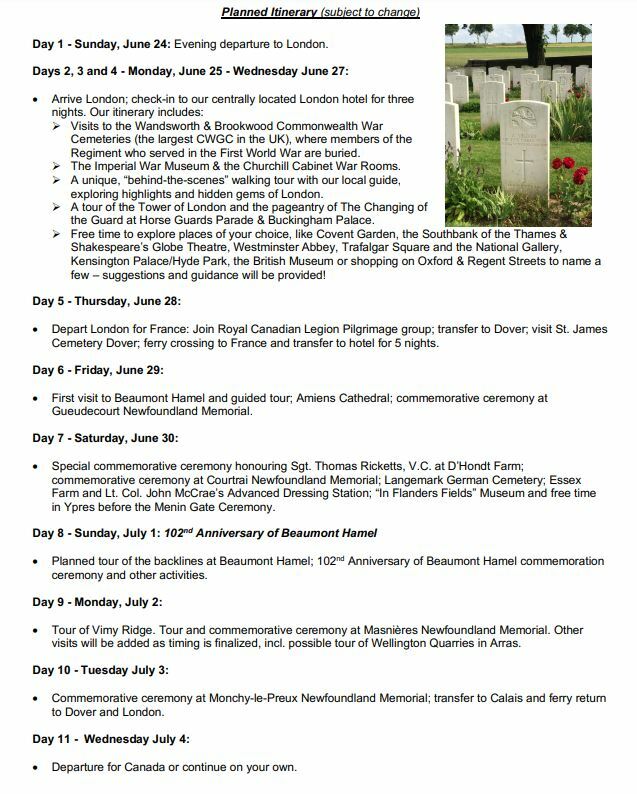 There will be Legion led commemorative events at each of the five Caribou locations in France and Belgium along with stops in Amiens Cathedral, Menin Gate and Vimy Ridge. 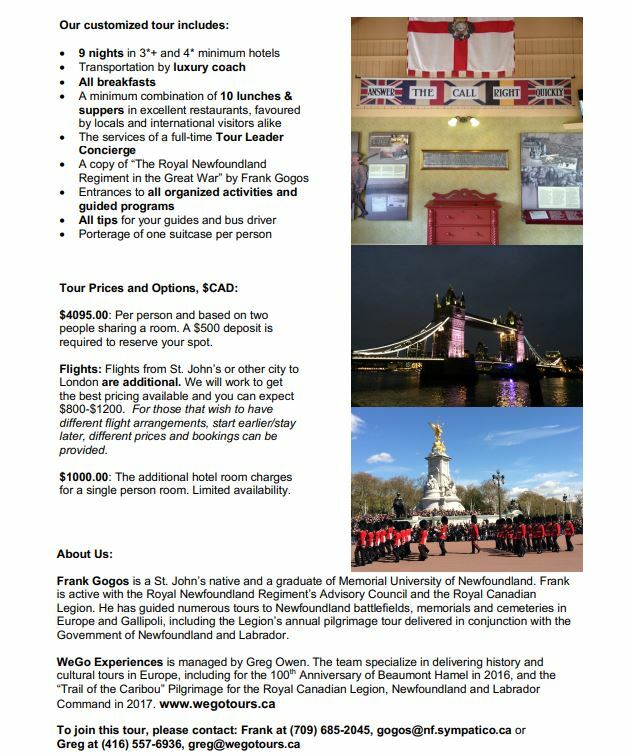 The Tour kicks off in London, England with visits to the Imperial War Museum and Newfoundland sites of interest in and near London. For more information contact Greg or Frank.